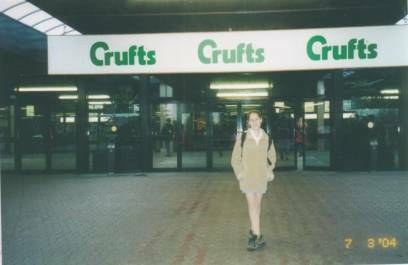 32 junior handlers from all over the world took part in the CRUFTS 2004 International Junior Handling Final. 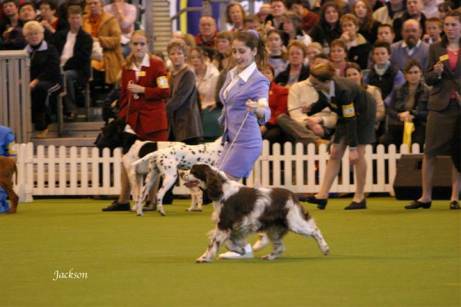 Each of them won the national qualifying competition in it’s own country and had the highest level. 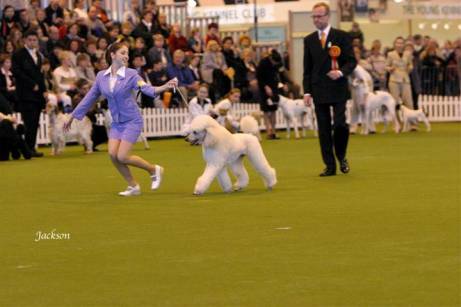 Crufts competition included several rounds, the juniors were supposed to show two dogs of different breeds. 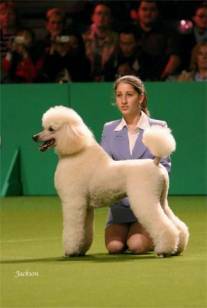 One breed was suggested to be chosen and Rivka of course chose to show a Standard Poodle, another breed was given by the organizers and Rivka got an English Springer Spaniel. 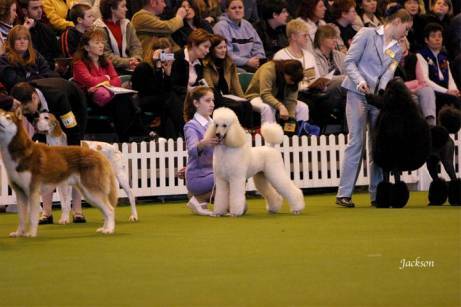 All the dogs were not known to the Juniors, they were brought by their owners in the morning before the competition and the juniors had about 1.5 hour to get prepared with the first dog and about 10 minutes with the second. The atmosphere was very pleasant and friendly. Each Junior was called by the name of the country. 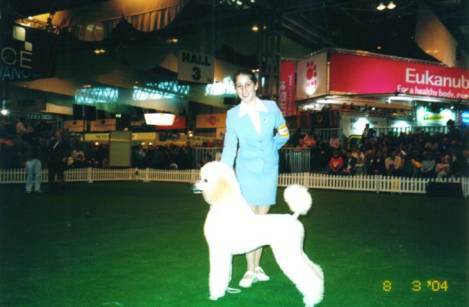 It was so touching and exciting to hear the commentator “This is Israel”, to see Rivka with white Poodle “Charmer” flying in the ring and the audience applauding over all Rivka’s performance. 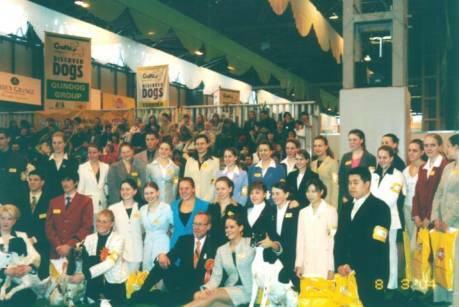 “You did very well,” told Rivka after the show Mrs. Liz Cartledge - the world famous judge, competition organizer and the founder of Junior handling in the United Kingdom. 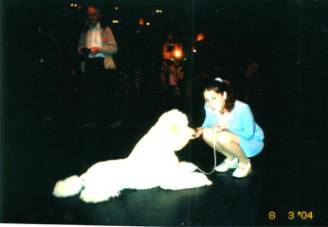 “You show very beautiful, you have a special, very elegant style of showing,” said Mrs. Maria Swift – Show Services Coordinator. And this was the real appreciation! The competition was judged by Mr. Svend Loevenkjaer (Denmark). 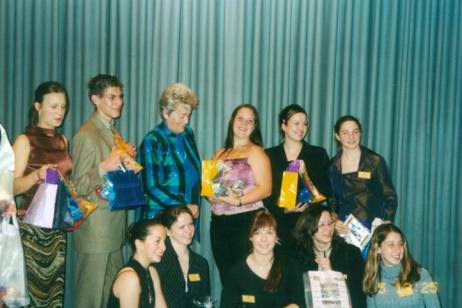 The first place won 17 years old Melanie Cotter from USA, the second place – 18 years old Jenna Cruthers from Canada, the third – 17 years old Vide Borregaard Madsen from Denmark. 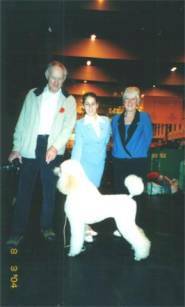 At the pictures below Rivka is showing white Standard Poodle “Acecliffe Star Charmer” and an English Springer Spaniel. 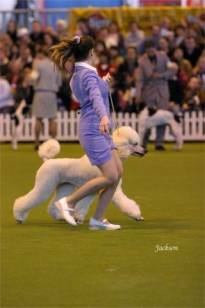 Mr. John Jackson, professional photographer of the UK magazine “Our Dogs”, took the pictures. 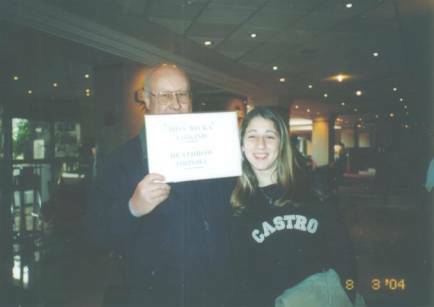 Thank You and Good Bye Charmer, Bob and Wendy Ratcliffe! 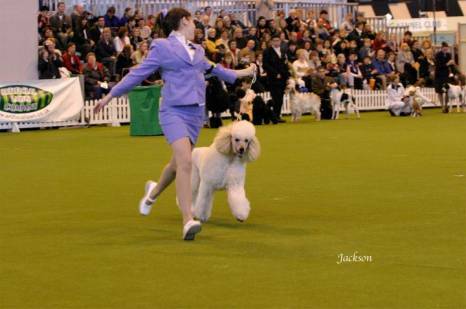 Miss Rivka Libkind – Heathrow Airport, Sunny is waiting at home!! !